I love cheese but I only make a cheeseboard at Christmas, I usually eat cheese alone and it's really a sharing platter isn't it? I'm the only one who appreciates cheese in this house so if I fancy some I cut a few slithers of a cheese and pile them onto a plate with oatcakes and if I'm being good to myself, a few pickled onions and some apple wedges. Christmas and New Year are the perfect occasions to build a really excellent cheeseboard to share with friends and family and this year I'll have my in-laws here from Cyprus, so the perfect excuse. 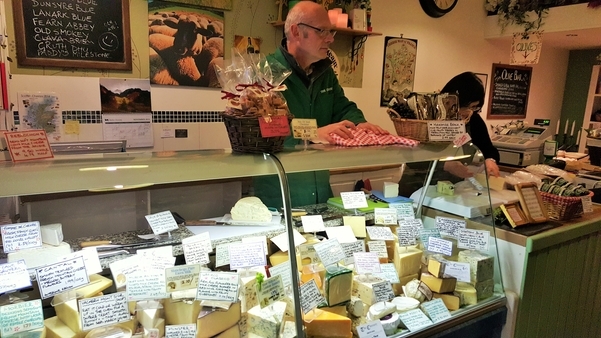 Just before Christmas I'll be popping down to my local cheese shop in Dundee, a lovely little shop called The Cheesery, and stocking up. I've been testing a few of their cheeses with different biscuits and chutneys to see what works and to decide what I'll include on my cheeseboard. It's a dangerous shop to visit as they have some gorgeous rustic potter from Butter Wynd Pottery, a local pottery that uses local clay. 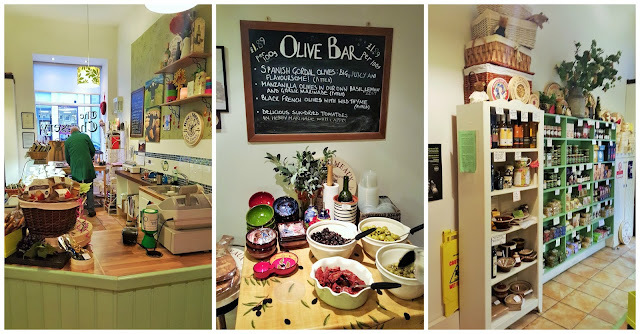 The last time I was there I spent a fortune, but they did manage to persuade me to try olives which I usually hate. I think they may have turned me. They wash them and marinate them in olive oil, fresh basil and lemon peel. I think I may like olives now! So how do you build the ultimate cheeseboard? Start off with a hard cheese, a soft cheese and a blue cheese, once you have these you can add other favourites. I wouldn't have more than five cheeses on a cheeseboard. Store the cheese in greaseproof paper in an airtight box in the fridge, but take them out and let them come to room temperature at least half an hour before you want to serve them. The flavours and textures will be at their best by then. Labelling your cheeses is a nice touch, but I'll just be describing them and letting everyone tuck in. Do keep a note of the names so you can at least tell your guest that much and remember not all cheese is suitable for vegetarians. Add a selection of biscuits, try to go for different textures, some plain, some sweet and some salty. 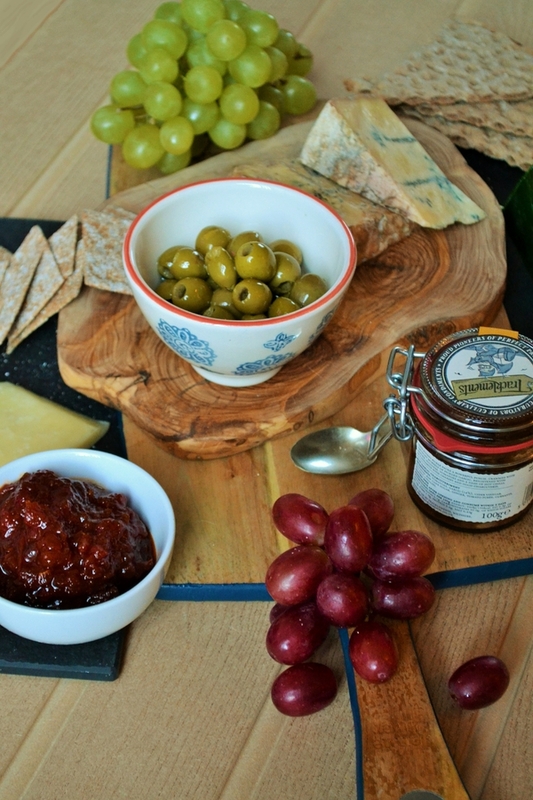 Chutneys and pickles are a must, they're a great contrast to the cheese and really make a cheeseboard exciting. 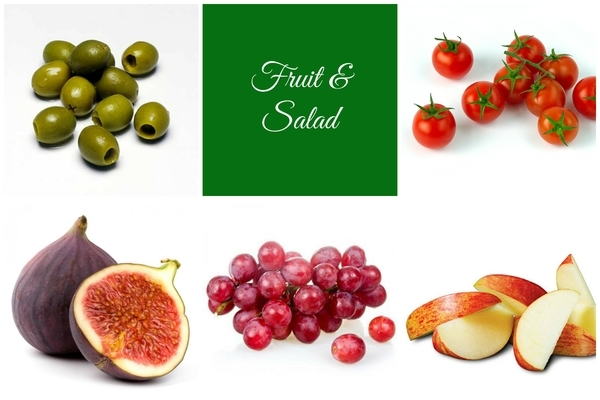 Fruit and salad are great on a cheeseboard too. They can refresh the palate between cheese and also provide a nice contrast. Don't go crazy though, a couple of items are enough. Think of the drinks you will be serving too. Red wine, port and sherry are the best matches, but some people don't like red wine or they may not be drinking alcohol, so do provide a good white and a sparkling grape juice. Remember your cheese knives. They fit much better on a board than a standard knife and lift cheese as well as cutting. It's worth investing in a set. Finally you need to display your cheese. Slate is classic and cheese looks great on it, you can buy this at a tile store or if you don't have slate a wooden board is good too. A wooden chopping board will also work. Isle of Mull Cheddar - A tasty unpasteurised cheddar with a real farmhouse flavour and texture with some blue veining. It's quite mellow, but has a good flavour. Also try Godminster Cheddar. Moonpig are selling a nice pack with chutney. Dunsyre Blue - Made with unpasteurised Ayrshire cows' milk. Named after a small village near Lanark in the Clyde Valley. A creamy blue with a bit of a kick, but not too strong or overpowering. Staffordshire Oak Smoked - Once this Staffordshire Cheese hits two months it's sent to their award winning smokehouse, where each Cheese is gently smoked over a blend of oak and beech chippings. Quite a dry smoke flavour. Green Thunder - Green Thunder is the perfect balance of garlic and herbs in a smooth cheddar. My favourite cheese at the moment. Very easy to eat with oatcakes. Clerkland Crowdie - A rich soft cheese rolled in oatmeal although I do believe they sell Crowdie rolled in black pepper too. It may be a soft cheese but it's not bland, it has a bit of a tang. Poachers' Pickle - This tomato, apple and raisin chutney is super rich and fruity. It works so well with cheese in a sandwich or on a cheeseboard. Honey for Strong Cheese - Honey tastes great with blue cheese. Most honey will work well with it, but this one works particularly well with strong cheeses. Pickled Onion Charcuteriment - I'm following pickled onions with this charcuteriment. A gently spiced relish made with crunchy pickled onions, a chilli and mustard. 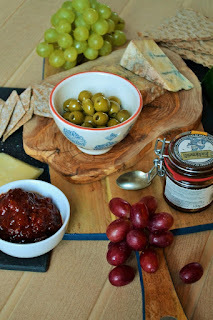 Sweet Tomato & Chilli Chutney - I love The English Provender Company chutneys and this one is my favourite! 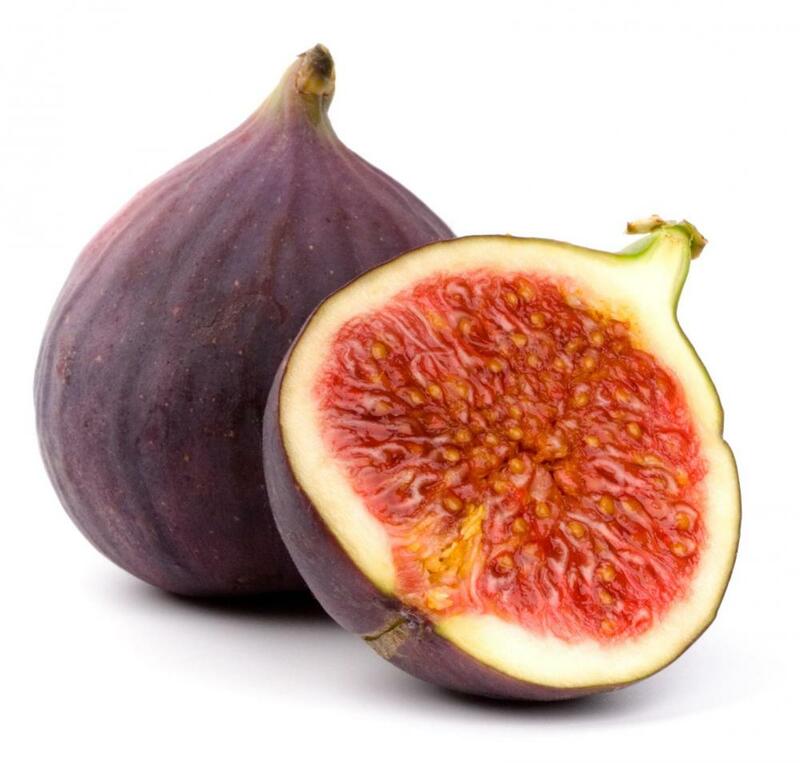 You must stock up on this one and add it to wraps, sandwiches or just scooped onto a lump of cheese. Orchard Fruit Chutney - Branston have a new range of chutney, just as nice as some more expensive brands but at a better price. I like this fruity chutney. Milton's Garlic and Herb Crackers - These crumbly crackers are made with a combination of olive oil and grains. They are small batch cooked for the perfect biscuit. 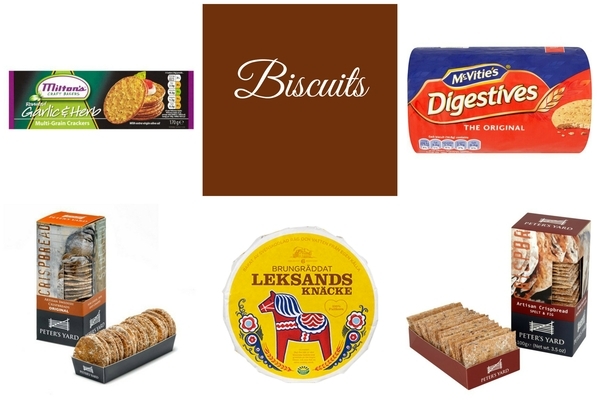 Digestives - Don't overlook the plain digestive biscuit. It's sweetness is great with blue cheese. Sourdough Crispbreads - These delicate crispbreads are from Peter's Yard. I love their range of crispbreads. Extra Baked Rye Crispbread -These huge crispbreads are made with sourdough, but are thinner than traditional crispbread. A great centre piece and conversation starter. Spelt and Fig Crispbreads - More award-winning crispbreads from Peter's Yard. I can happily munch through a box of these plain, but they are great with cheese too. Choose your own favourites, I like this selection, but cucumber, radishes and crisp white grapes are good too. Signature by Harveys - Sherry is a great option for a cheeseboard and this one is aged for 12 years, so it has a rich flavour that's sweet and spicy. Fonseca Terra Prima Organic Reserve Port - Lots of people love port with cheese. I like a small glass, but I find it makes me tiddly. This one is organic, suitable for vegetarians. It's smooth, fruity and reduced to £14.39 in Waitrose right now. Ursa Maior Rioja Reserva - A Spanish red that works well with mature cheddar. Deep fruity flavours, a lovely rich wine. Californian Cabernet Sauvignon - Premier Estates do some great box deals, either a single wine like this rather fresh Cabernet Sauvignon or mixed boxes. They have their boxes of 6 high quality wines on for the special price of £30 just now with free delivery. A great deal. Chilean Reserva Sauvignon Blanc - Crisp with an appley flavour and only £5.5o at the moment from Spar. Well worth stocking up on this one. I know most people think of red wine with cheese, but a crisp chilled white wine can be good too. For those not drinking or who want a light drink try White Grape Shloer or Eisberg Sauvignon Blanc which is alcohol free. Personalised 5 Piece Slate Cheeseboard Set - Cheese looks great displayed on slate. 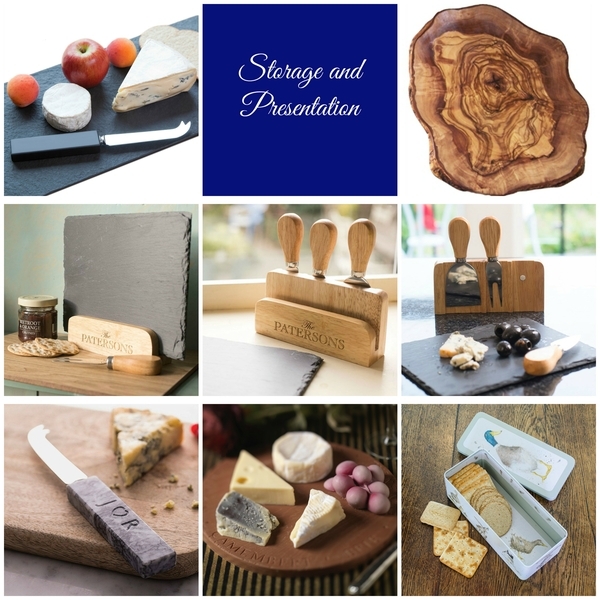 This slate board is stored in a personalised stand and comes with two cheese knives and a cheese fork. £29.99 from Get Personal. Milk & White Chocolate Cheese Board - I had to include this. Isn't that amazing? It's all made from Belgian chocolate. I think I may try to fool my guests with it! I hope I've inspired you to pimp up your cheeseboard this Christmas and New Year. 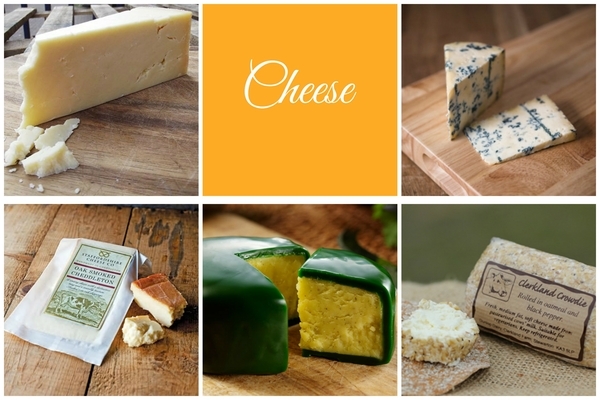 Do leave your cheeseboard suggestions below as I bet you have some regional favourites too. Disclosure: Some of the items in my list were sent to me to try over the last few months and some I have discovered myself. I only included my favourites. As ever I was not expected to write a positive review and any opinions expressed are my own. Wow - you're a woman after my own heart. Such an amazing selection. You're spoiled for amazing cheeses, and I love the sound of that oak smoked one. 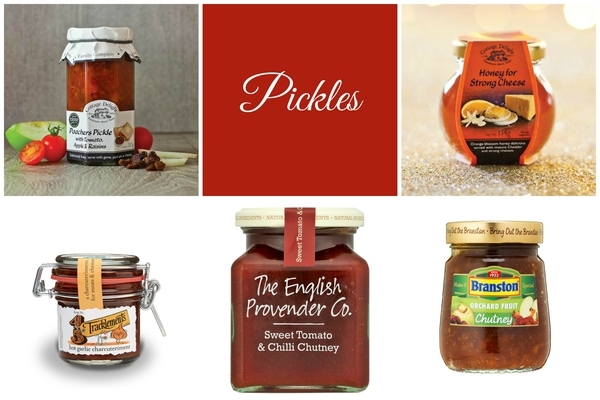 My family don't seem to like chutney, but I do and I'd go for the English Provender one with chilli. Beautiful cheese boards and knives, too! Oh yes that chutney is amazing. I've never found anything to beat it. So tasty. I love cheese too and we usually have a much wider selection at Christmas. I have visited the Isle of Mull creamery and it's a lovely little farmhouse creamery where they really care about their cheese. It's really delicious. Yes it's great cheese Janice. Must have been interesting visiting the creamery. Lots of lovely cheesy inspiration here. We discovered we love Port Salut at my recent party and so did our guests it seems as there was hardly any left. The least favoured seemed to by the Danish Blue, still sitting in our fridge! I've not had Port Sallut for years and I mean years. Brilliant! Glad I inspired you Sisley. oh yes! Cheese and pickles is what it all about! 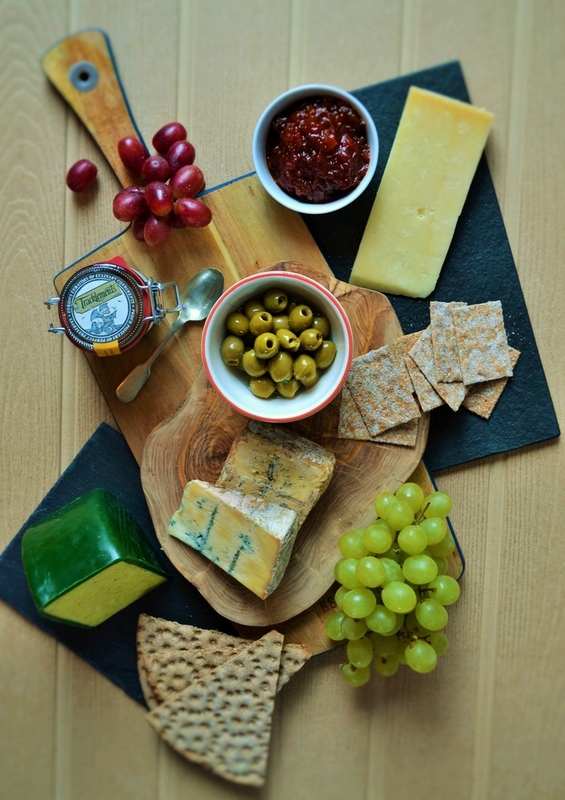 What a wonderful nad useful post to create a delicious and eye catching cheese board. I would never have thought of honey with cheese even though my mother always pairs cheddar with apricot jam. Def going to try it. I would add a smokey cheese to the basic three you started with and my fifth would be something totally out of the ordinary - like a pink cheese made with beetroot, goat cheese or ball of mozarella in olive oil. Loved this post. It works really well especially with a blue. Oh yes, all warm and gooey. Definitely Becca! Yes it's a pretty cool knifw, would make a great present.